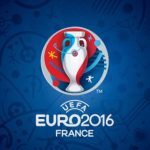 World Cup fever is officially on, as the world’s most iconic association football (or soccer) tournament recently started with some exciting games (and interesting results – just ask Iceland, following their draw against Argentina). But if you’re a mobile gamer, you’re probably looking for an in-depth, yet easy to learn football/soccer game that won’t overwhelm you with features, but won’t strip things down to the bare essentials either. Nekki, which is best known for the Vector and Shadow Fight series, has something that you might want to check out, and it’s called 11×11: New Season, as the company wants players to know that this is the next installment in an ongoing series. Just like in the older version, you’ll be able to build your own city, acquire players via transfer, level up the players you already have, and more. You can also take part in PvP tournaments and match skills against the world’s best in this game! Given the wide range of things you can do in this game, this won’t be the first and only guide we’re writing for it. We want to help you win, and more importantly, win quickly and painlessly, and that’s what we hope we can achieve through this all-new 11×11: New Season strategy guide for beginners. Read on, and we’ll tell you what to do to succeed in every facet of this game, as we cover all the different modes and discuss the tips and tricks you need to know if you’re at player level 1 to 4 in this game. 1. This Is Soccer Management Without The Real-Life Players, Etc. 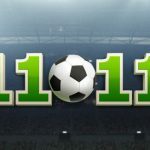 As usual, we’re going to get you started by discussing the basics of 11×11, and while this is quite the advanced title as far as soccer games for mobile devices are concerned, there are a few things that distinguish it from other management games. 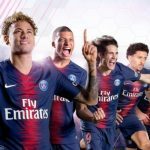 For one, this game does not feature any real-life players — much like Top Eleven, this game is all about competition against “real players” (in the mobile gaming sense, meaning actual human-controlled opponents), as opposed to competition with real-life players. (Messi, Ronaldo, etc.) But there’s a lot of management to be done, and a lot of things to take into account each time you open the game. Aside from managing your team, which would mean choosing your starting lineup, working the transfer market, selecting tactics, etc., there are also various buildings that you need to pay attention to on the main menu. Upgrading these buildings won’t just allow you to earn more passive cash and experience points (in some cases) — doing so will also unlock new features and give you more ways to improve your players and your club in general! Winning a match gets you a new sponsor (which we shall talk about a little more in our next guide), cash, XP, and league points, though those are just some of the rewards you can expect in the game. As far as actual matches are concerned, you won’t be able to manually control the action on the field, like Dream League Soccer would require you to do. All the decisions you make will be done from the point of view of a manager, and that would mean choosing your starting 11, picking the right formation and the best style of play to suit a given situation, and making substitutions. You may choose to watch the game play out in full (about 2-3 minutes total, though the clock is still 90 minutes), or you can fast-forward to the end of a half, if you want to get things over with quicker. We’ll discuss this in further depth as we move on in this guide, so let’s get to the other fundamentals of this game. This is one of the first things you’ll be learning in the game’s tutorial stage, and it’s quite easy to do, if you want to do things the quick and painless way. Just tap on Team in the bottom menu, tap on Formation, then tap on Auto so that the game can automatically choose your best players for each available position. By default, your formation is a 4-4-2, but depending on the players whom you’ve selected (just drag each player from the left side menu to the right, once in the Formation screen), 11×11 may choose another formation for you. Most of the time, though, you’ll be given a classic 4-4-2 setup with two forwards, four midfielders, and four defenders, though you’re always free to customize things and override whatever the game suggests. For example, if you like playing defensively, you can set up a 5-4-1 formation, or you can go 4-3-3 if you want something that favors the offensive side of things more than a 4-4-2. Generally speaking, you don’t want your right midfielder playing center, and you especially don’t want a forward playing as a defender, or vice versa. But sometimes, there are exceptions to the rule, if you’re talking about a rare player or better who’s several levels ahead of others in their general position. For example, if you’ve got two right defenders, one who’s of Unique rarity and at level 10, and another who’s Rare and at level 5, you can have the level 5 DR move over to DC if your central defenders are both common and at levels 1-2. You can also have that second DR learn a secondary position, though that will likely come later, once you’ve unlocked that feature/capability. There are multiple in-game currencies in 11×11, and each serve their own purposes in the game, starting with your common currency, which is cash. You can use cash to buy new players in the transfer market and upgrade buildings, and this would normally be earned by winning matches and collecting your passive income from certain buildings. Boosters, which are the gold coin-like items with the “b” inside, are the premium currency, and while you can use them to buy certain players in the transfer market, usually the better ones, or purchase player packs in the store, you can also use them to speed up player or building upgrades. Now obviously we are not suggesting the latter as an option, because if you can wait it out, it’s best to be patient rather than spend boosters that you can be saving up and using to buy those player packs! Fortunately in this game, there’s no auction system where you’ll need to compete with other human managers and bid for players. That’s one reason why it wasn’t uncommon for premium currency to run out quickly in Top Eleven, but in 11×11, all you have to do is to tap on the player whom you’d like to purchase, and you’re set. The price won’t be jacked up if someone else bids more money for a player’s services, because it’s as easy as one tap and they’re yours, no questions asked. Generally, you will be paying cash for lower-level, common players, but sometimes, you can plunk down a few thousands for a Rare, or even Unique player! Otherwise, boosters are usually the currency of choice when it comes to these rarer, more skilled players. As we mentioned right above, you can improve your team quickly by buying new players in the transfer market, but once you’ve got those players in your team, you’ll need to upgrade them by spending the XP you earn by playing the game and winning more matches. You can also upgrade some of your common players, but don’t spend too much on these players, as you’ll likely be replacing them anyway as your team keeps improving. What you want to do is to spend XP on your Rares and better, as they represent the future of your team (and also the present) as a beginner. After you upgrade, or level up one of your players, you will then be asked which stat you wish to improve — for starters, you’ve got Reaction, One on One, Athleticism, Positioning, and Goalkeeper Technique for goalkeepers. For your goalkeepers, the latter will obviously be important, but so will Positioning and Reaction. Every other player in your team will be graded based on these stats — TacklIng, Passing, Athleticism, Shooting, and Dribbling. Here, you’ll need to focus on the stats that are most relevant to the position in question. For example, you should be focusing on Shooting if you’re upgrading a forward, Tackling if upgrading a defender, and Passing or Dribbling if upgrading a midfielder. Athleticism is a wild card of sorts, as it could benefit anyone in your lineup. Be aware that you won’t be able to make any more changes once you’ve chosen which stat to improve after leveling up a player! Once in the Home menu, you’ll see a variety of buildings which you can access, and the first ones you’ll be introduced to, thanks to the tutorial, are the Stadium, which is where your team obviously plays its games, the Shopping Center, which sells merchandise and allows you to collect offline income, and the Training Center, where you can earn offline XP much like you earn cash passively via the Shopping Center. There are also other buildings, such as the Club Campus, Office, Pro Center, and Hospital, but regardless of which building you’re looking at, you’ll need to spend some cash and upgrade them wherever possible. One thing you may notice is that the actions performed in or by certain buildings are related to those in other buildings. For example, you’ll need to upgrade two other buildings in order to get your Stadium to level 2, and you’ll need a level 1 Pro Center and a level 3 Training Center to get your Club Campus to level 3. Certain upgrades will also result in new features or capabilities getting unlocked, as we mentioned earlier — for example, if you’re trying to give a break to one of your top players who’s buried on the bench, you can have him learn a second position at the Club Campus, assuming you’ve already upgraded it to level 3. Want to earn more boosters, cash, Pro Points, and XP? It’s as simple as completing tasks, may they be the actual daily tasks, which are only valid for one day, or the achievements, which are more longterm in nature. Completing your daily tasks will reward you with a Level Daily Card based on your current level, which comes with a variety of rewards, including boosters, cash, and XP on top of what you already may have won by completing the tasks/achievements, but no players inside. For Achievements, the idea here is to help you increase your player level, as completing more achievements will help you level up faster. You can also earn cash, boosters, and, for Achievements in particular, you’ll also be able to earn yourself some Pro Points. (We’ll explain how Pro Points work in our next guide — don’t disregard them, as they can be quite the resource for you!) For every 8 to 10 achievements completed, you can win a new player pack — the rarity may vary (Rare, Unique, Legendary), but you’ll certainly be getting some players who could make your team better right away! At first, you’ll only be able to play league games in 11×11, and with each league game you win, you’ll be able to sign up to Sponsorships, which are likewise classified by rarity like players are — Common, Rare, Unique, and Legendary — and come with cash, boosters, XP, and player contracts. We’ll talk about that in our next guide, but for the meantime, we recommend that you pay close attention to league play, as advancing from one league to the next will allow you to earn more and better rewards once you open player packs, while also getting better sponsorships and more skillful players from the transfer market! Once you reach Stadium Level 2, you’ll be allowed to compete in the many available tournaments in 11×11, starting with the New Caledonia World Tour. This is where you may start taking your Top 11 rating seriously — that’s the blue figure on the right side of your manager progress bar, on the upper part of your screen. 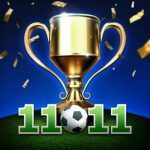 If your Top 11 rating is equal to, or greater than the recommended level for the tournament, then you should, by all means, take part for a chance to win even more goodies to help your team improve. You can unlock player vs. AI World Tours once your Stadium is at level 2, and PvP Tournaments once at Stadium level 3. 11. What’s In The Player Packs? Usually, when it comes to games like this, you can expect to get multiple players inside a player pack. That’s not the case in 11×11, as different player packs can come with different types of content. Let’s start with the yellow, or Rare Player Pack, which will initially set you back by 100 boosters. This could make a solid purchase, though it’s not the best in terms of value for money — initially, you’ll also get guaranteed 42-84 XP, 420-840 cash, 17-34 Pro Points, and one to 50 Rare player contracts. A Player Contract would allow you to sign a player (corresponding to the specified rarity) once you’ve got a hundred, and you could also get some of this resource if your player level increases. Unique Player Packs will set you back by 270 boosters, and come with a Unique player, 140 to 290 XP, 1,100 to 3,300 cash, 45 to 140 Pro Points, and one to 50 Unique contracts — this is probably the best player pack to purchase, as you wouldn’t need to save up much for it. But if you’re willing to wait a little longer, the Legendary Player Pack (700 boosters at first) comes with one Legendary player, 630 to 1,300 XP, 6,300 to 13,000 cash, 190 to 570 Pro Points, and 1 to 50 Legendary contracts.